For each airline, the rationale is different. For example, a Chinese carrier might view WLG or CBR non-commercially, in political terms (think CA to HAV or PTY). As another example, high parking costs and the need for long ground times in certain cases in SYD might increase the attractiveness of a tag to a New Zealand city like WLG, when otherwise not the case (arguably EK fell into this category, back in the day, pre-388). I get the scepticism and think it’s a valid question to ask ‘is there enough demand today?’, but given air travel seems to keep growing, it’s a fair opinion to ask when, not if there will be enough demand. I don’t think it has to generate new traffic either as an operator would likely take passengers off of indirect services. It would be wrong to say there is no demand, the question is, when will there be enough demand to support a direct service. I think the question was why would SQ (or anyone) take the plunge and start a WLG non-stop - you've addressed SQ's rationale for the current WLG tag, but not the merits of a SIN-WLG direct. By the time the runway extension is complete, I don't know if the subsidy will still be relevant for SQ; and for a non-stop service the routing via MEL won't apply. In fact, with airlines being a boom-bust cyclic business, and Asian tourism being trend-heavy, who knows if the Chinese and ME3 carriers will still be relevant. I honestly don't know if WLG's local traffic will sustain a non-stop long-haul any time soon. I doubt CHC would sustain any of the long-hauls without the tourism traffic (in fact we see that with the large capacity increase over summer, SQ with the 2nd flight 3x per week, CZ upgauging to 789 and going daily, CX seasonal service) - and WLG is looking at a similar local population minus the tourism. Hell, AKL has the population and even their long-haul capacity increases dramatically over summer, tied to the tourism season. Would be good competition for Air NZ and Virgin Australia already has a strong presence with its AKL hub. No. Truth is, no one really knows why QF pulled their daily AKL-LAX. There were rumours about it being stacked with non-revs which, even if true, doesn't really wash as a reason to can the service, which to the casual observer seemed to be doing well. NZ simply said "thanks" and commenced printing money on the route like there was no tomorrow. AA entering the fray has helped, but I wish the route wasn't seasonal. VA don’t have the equipment to do AKL-LAX,let alone AKL-ATL, DL would be a lot more likely to operate either of those most likely LAX first if at all. I wonder if either could get enough feed however. More than likely DL would be the candidate to operate AKL-LAX or ATL than VA. As was mentioned, VA doesn't have the aircraft. The feed out of AKL would be fairly minimal (if any) for DL, with mostly VA Trans-Tasman and Pacific Island flights. QF pulled AKL-LAX for many reasons (including debt at the time), as well as "allegedly" low yields on QF's end of the route at the time. Will it happen, doubt it but it would be bloody good. The question is why WLG? Why not focus on building CHC-SIN into double daily first. If NZ/SQ alliance can see AKL-SIN 3x daily, CHC-SIN 2x daily I would then say add the capacity and start building WLG but we're a long way from that. Of course, if the runway was long enough and AKL was 2x daily and CHC daily, I'd also support it. So my comments are based on the need for the Aussie transit based on the runway length. Neither carrier is trying to build the market into WLG as there are already 'tags' from Australia on NZ to/from SYD/BNE/MEL and onto SQ from there, there's already a heap of domestic flights north and south connecting to AKSIN or CHCSIN so it's not the same scenario as EK/PR/TG/CI/MH/D7 who when entering the New Zealand market extended it from their Australian services. I still question, is the runway works on the basis of attracting long haul flights money well spent and are the ratepayers getting a return for their subsidies or are they essentially all subsidising another option to MEL. That, and avoiding Mexico overflight charges where possible. No suitable aircraft - too far economically for their A332 and not viable with 744 or A388. They were in chaos at the time - lots of cutting led by AJ, they are only now starting to build back a lot of what they lost. They had a pile of debt, old fleet, management at war with its workers, and had had several safety scares recently. On top of that the A380 added a lot of capacity to the Oz-US market, the USA and AC carriers were adding capacity and you had NZ also expanding. If QF had the 777 they almost certainly would have kept it, as for now? Quite hard to restart a route. If they can get AA on board then with a 789 could be viable. If QF can get AA on board it will be with an approved JV which would hopefully see AA operating yearround. I don’t see the point in QF operating it themselves then. In that case I wonder if AA would then use a larger frame or more frequency on the NW? Maybe a smaller 788 in NS. AKL-DFW in addition to LAX? While you're right, the 744 could have still worked nicely on the route until they had a 787 available anyway. I can't recall if at the time QF was domestic or not but now they've obviously JQ with strong Tasman connections. NZ has gone up to 3x daily to LAX with the 744 in conjunction with SFO and YVR. Now they're still up to 2 daily with 77W in conjunction with SFO, YVR, IAH and ORD. As well as UA and AA coming to NZ. Did QF let go too easily? surely' they're slightly regretting it. Except that the 744 was better utilised on more profitable routes. I don't think QF is fretting over not serving AKL-LAX at all- it was the worst performing of the LAX routes and in 744 days operated with the higher Y configured aircraft. And don't forget, an NZ 744 deployed on AKL-LAX can be much more profitable than a QF 744 in the NZ market. But they've also freed up some 744's. No one is saying they're fretting over it. More a would the like to still have it if things had gone another course. At the time they didn’t have spare 744 capacity. Implying an end of HKG-AKL service from Hong Kong Airline? Drops to 3 weekly, try a different day. That was the last change atleast. Not yet open for booking? Imho they will not sustain a service with this frequency given the competition and known context. Hope I am wrong. Heads up for spotters, ZK-MCO is flying AKL-WLG-BHE-TEU-ZQN-AKL today. Not really that accurate. QF axed AKL-LAX in 2012 and by this time QF had all their A380's onboard, this allowed them to send away a few of their 744's for storage. Given NZ's criticized for their monopoly on the route and as it's been called a 'cash-cow' by some, I find it odd that QF didn't redeploy their older 744's into this market for a few years until the 787 was available, let's also not forget in 2012 the 787 was only a few years away from being available to them. They instead tried the A330 before pulling the plug. Putting aside the fact that AKL-LAX is an awesome route with easily room for more than one carrier for a moment, there's also the fact that this was the route that established QF as a long haul player out of New Zealand. So in abandoning it, they lost not only the route itself but also a "New Zealand to the world" market presence. Presumably it cost them in loyalty also. For them to walk away from a route like this I wonder if they were closer to bankruptcy at the time than anyone realises. I made the comment last year, as a New Zealander I don't believe QF really is that interested in me as a consumer (which I am as I fly revenue tickets frequently). QF is a great brand and has a quality product. There is ample room for them to do more on the Tasman, Domestic and also run a North American service again. Agree - except for domestic. I just don't see a niche for another player. NZ offer a comprehensive and well priced product. And to keep NZ on their toes, flying the QF flag (so to speak) is JQ - an arguably better priced but markedly less frequent service with fewer loyalty benefits. And whatever slack isn't being covered by the likes of NZ and JQ is being increasingly picked up by the likes of Air Chathams etc. Anyhow NZ-USA can't be such a goldmine, otherwise AA (or any other non *A carrier) would be operating year-round. And as one poster mentioned in the AU thread, yields are now trashed between North America and the South Pacific, probably due to capacity increases with all these new routes- which NZ was part complicit in. Also remember QF operated SYD-AKL-PPT-LAX for years so their AKL-LAX experience wasn't just with the nonstops. Having chimed in on that, does NZ rue not resurrecting SYD-LAX? I wonder how AKL-LAX is compared to SYD-LAX revenue or profit wise? NZ are though the only year round carrier AKL-LAX. NZ would prefer to route any OZ-US traffic via AKL and can offer service to LAX/SFO/IAH/ORD/HNL/YVR/EZE where as they would only run say SYD-LAX so you would end up with someone from MEL having to do MEL-SYD-LAX-ORD etc rather than MEL-AKL-ORD. QF running AKL-LAX is a more natural route in the sense they can connect any overflow off there SYD/MEL/BNE -LAX services through AKL, probably affected yields? NZ wouldn’t want to route people CHC-SYD-LAX instead of CHC-AKL-LAX I don’t think. QF ran AKL-EZE and were going to do AKL-SCL but decided to leave it to LA, DFW was seriously considered to run via AKL in the early 2000’s, I’m surprised they never ran an AKl-SIN to connect to 1 stop to LHR/FRA/CDG/FCO in the early 2000’s, JQ had a go at SIN but probably to late and LCLH from NZ hasn’t done well. Not sure why some need to be so argumentative. I have two upcoming holidays this year, both purchased as full commercial airfares via the carriers public website. I do this for two main reasons a) NZ doesn't fly where I'm going and/or b) I have children and are restricted to school holidays which is busy and I can't afford/don't want to be offloaded. So, no. They are not 'ZED' fares. An example of this is DPS, I was looking at tickets over Xmas when weighing up going there in July. I shopped around on NZ, EK, QF and VA before ultimately deciding on a different destination. If NZ-USA isn't such a gold mine; why is NZ criticised for charging what they do and having it labelled a monopoly? If it's not a Goldmine wheres the credit for 2x LAX, 1x ORD, 1x IAH and 2x SFO* on some days? Re NZ on SYD-LAX. Their business model has dramatically changed since NZ14/15 days. Now, they are more determined to use AKL as a hub for Pacific Rim flying, hence the removal of NANLAX, APWLAX, PPTLAX as well. APWLAX was subsidised and APW/TBU didn't want to pay higher subsidies when the contract was up for renewal. PPTLAX NZ lost their traffic rights. RARLAX exists. Yes NZ operates 2xLAX, 1xORD, 1xIAH, 2xSFO some days- and as you've seen from the lastest earnings announcement, it's not as rosey as before. QF business model has changed too- hence no more AKLLAX. I’m quite sure NZ didn’t lose its rights for PPT-LAX, they were expensive routes to maintain and in many ways a hangover from the DC8 days. They dropped it in favour of a codeshare with TN, same for NAN-LAX dropped in favour of a codeshare with FJ. That's a very political topic, ultimately though NZ wanted to operate via AKL and others weren't willing to pay for the direct service so they got axed, RAR was willing to pay but I believe it has an expiry date on it. The latest earnings announcement is an adjustment based on fuel and the 787 issues otherwise, compared to previous years over their entire history it's still an amazing result. In fact, go back 10 years, you'd be overwhelmed with this adjusted result let alone the original prediction. Little old NZ making in the range of half a billion dollars a year, their largest long haul market being the US. I can't imagine why it's not seen as a market with potential. Given many visit here once that once in a lifetime trip, I can see why QF wouldn't want to bring them here and convince them to carry onto Australia and home from there. Argumentative was in response to questioning me as a consumer based on the assumption I travel on "ZED" fares. Very much correct. It's typically the low end of the market who fly on 'round the world fares' who used these routes and some local O&D traffic. NZ is seeing the wealthy European market come to NZ and do a week side trip in the Pacific but remaining based in NZ so to speak. The yanks, well not many come down this way to visit just the Pacific, those that do, do so via AKL/RAR or on FJ, HA, TN etc. QF had been struggling by on antique 743’s for about a decade longer than they should have been so these were rightly retired. Couple that with the GFC and yes AKL was a struggle for them. They didn’t know when the 787s would come and since there were numerous delays with the program that made it even less certain. I’m not saying they shouldn’t have stuck it out, I’m just saying that they had multiple reasons to cancel including having limited suitable aircraft available. This isn't really that accurate either, QF retired 747-400's in 2012 so they had 744's going into storage before they pulled out of AKL-LAX. So it's not about not having spare 744's as they put some into storage that they didn't want to use and it has nothing to do with the 743's. The GFC was around 2007-2008 so more than 4 years before QF pulled out of AKL-LAX, 3 years after QF's withdrawal NZ commenced AKL-IAH so the market was obviously doing more than just showing signs recovery. FY12 had normalised earnings of $91m up 21% for NZ and FY13 was $256M so don't blame the global economy. Also, not knowing when the 787's would become available isn't really a reason in itself to leave a sizable market, NZ kept their 763's for the exact same reason and actually opened new routes with them. At the end of the day, QF left for a variety of reasons. The question is, was it the correct move and do they wish they still had a slice of that pie. QF did not want to fly AKL-LAX because they had better use for the 747-400 on HND where the demand was increasing and the yields could sustain a 744 (even became QF25/26 from memory). They were not making enough on AKL-LAX to justify the higher operating costs of the 747, didn't have the loads to justify an A380 or first class and the A330 was payload restricted which meant that the A330-200 too was better utilised elsewhere.where they could take cargo to boost revenue. The 787 was a long way off at that stage, but in truth, any route is about how does it compete against other routes in the network. 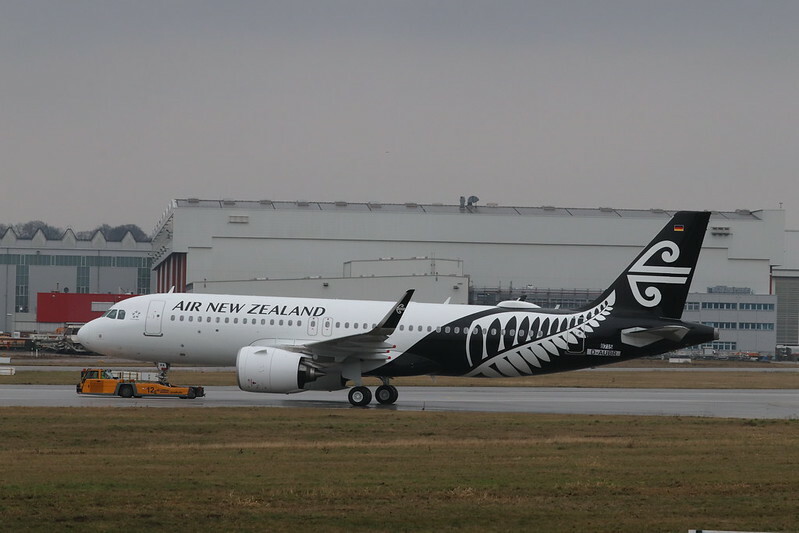 Equally, Why fly NZ AKL-SGN when the same 787 can operate additional AKL-SIN with more passengers, more premium passengers, more cargo, shorter crew layovers and as a result make more money. It doesn't mean that AKL-SGN is a bad route, it just means that other markets are stronger. This is the curse of the New Zealand market, there are always high yields to be made elsewhere, so in times of "belt tightening" or seasonal slump, airlines will cut our market first. A number of carriers have done this over the years. Air Chathams ATR 72 ZK-MCO is again out and about - it appears to have started operating the Tauck Tours contract. So they put them onto HND now, I thought they had no spare AC? You also say they were not making enough, this information is not available outside QF accountants and senior executives so I'm not sure how you can draw this conclusion, I'm not saying you're wrong. I'm simply saying this can only be a guess or opinion. There are 6-8 widebody flights to North America daily now, QF has Tasman and Domestic network to feed it, Why isn't QF looking into ADL-AKL-LAX? BNE-AKL-DFW, PER-AKL-LAX etc. Essentially are you saying QF is regretting putting the fleet planning into two jumbo-sized planes, the 747 and A380 and the next size down is either payload and/or range-restricted A330? AKL-LAX isn't the only long route in their network which would benefit from a 777. Well I know they were losing about $1m using the A332 so the larger more fuel inefficient 744 would be worse. Again, sounds like QF did themselves out of route based on aircraft purchasing decisions based on what's said here. It's up to QF to make it work for them, given they have traffic fed from Domestic NZ and Australia. Also, if they were committed to the Tasman, would have opened ADL, CNS, PER, MCY, OOL, HBA (routes NZ has opened except HBA) and feed these onto the AKL-LAX, meaning 1 international transit over the horrific SYD transit for those ports without N.A direct services. It worked well when it was BNE-AKL-LAX. QF was easy competition at the time, they didn't really push the service via the trade and didn't compete in the corporate space to draw one world customers in. NZ is doing very well in N.A and is clear in that they will be growing the market. QF is doing the same ex AU. Why couldn't QF make AKL work? or as I said originally, do they regret leaving and not hanging in there? Very good point. You can't have it both ways. I personally think the overwhelming weight of evidence suggests that AKL-LAX is a great route. For a while a return J ticket was costing $8000, and people were prepared to pay. You can get return fares on legacy carriers to Europe for less. I also don't really buy that QF left because they couldn't make it work, or the aircraft were uneconomical. Even NZ probably regret retiring the 744 as quickly as they did. I reckon at the time QF felt they had bigger fish to fry with available aircraft. If they're not regretting - or at least reevaluating their decision; they're dumb. But that doesn't necessarily translate into an argument towards starting the route up again in 2019. I don’t believe Air New Zealand ever regretted retiring the 744 fleet. The fleet was maintenance heavy and the direct operating costs were huge. I believe the timing was perfect. NZ made excellent fleet purchasing decisions, as compared to QF, which represents everything an airline shouldn’t do when making the all important fleet purchase decisions. Make the wrong choice and you can be ‘punished’ for decades. Oooo are there any pictures of this yet? Air Chathams and Sounds Air are such interesting little operators. The final days of the 744 wasn't so much a retirement as it was an execution. Nearly overnight it seemed, the entire fleet (some frames of which were still relatively young) disappeared. Immediately after fuel prices plummeted and the argument for the 77Ws - to which by then NZ was committed and required a huge capital investment - suddenly became a whole lot weaker. And for nearly another decade airlines like QF, KL, BA, TG all utilised their 744s very effectively. Don't get me wrong, as I've said many times I don't think NZ have ever made a *bad* purchasing decision - but what happened to fuel prices which couldn't have been predicted, made the timing of the 744 retirement suboptimal. Hong Kong Airlines confirmed as seasonal ops. I would suggest NZ has a monopoly by virtue of the small scale economics here. NZ uses its position as the big fish in a tiny pond to be the airline which stands the best chance of profit on the low yielding local market. The market may only be able to sustain a certain amount, so if NZ is first in the ring it can mould/grow the market to the point that there is enough market for all parties to compete without a bloodbath. NZ have a home town advantage when it comes to understanding the market nuances and having hometown retail connections and loyalties.. Isn't this just highlighting that QF is hamstrung by the fact they kept the 744 and then also ordered the A380? That's making it really hard for JQ to open more regionals even though they have deep pockets. We should really see DUD, IVC, HLZ by now if they were here to give them what they deserve (whatever their punch line was when they went regional).